I am starting a new Beginners Art Class, please see the information below. (I also have one space available in my ongoing Intermediate Art Class on a Wednesday morning, please contact me directly about this if you think it might be of interest). Wednesdays 2pm-4pm at the Artist’s Studio, Platform 2, Ladybank Railway Station. Autumn Term 22nd August – 3rd October, £100 for Block Payment or £15 per week, 7 classes. This is a beginners class that will gradually take students through a wide range of techniques and materials, applying them to diverse subject matter, from still life to landscape and others. 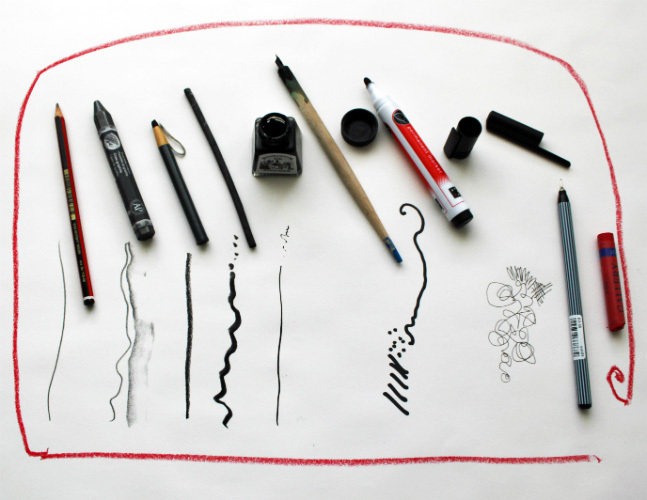 The Autumn Term will focus on introducing drawing and watercolours to the class. The first 3 weeks will focus on drawing with the materials provided after which there will be an introduction to watercolour. For this students will need to have student quality watercolour paper, paint and brushes, which will be advised on (approx. cost £38). I have many years experience of teaching and painting. My classes are kept small (maximum 8 students) to enable me to give attention to students needs. Classes take place in my unusual and inspiring studio at Ladybank Railway Station. They are friendly and relaxed, always including tea and biscuits, though students will find themselves building up a range of techniques and approaches to creating artworks.